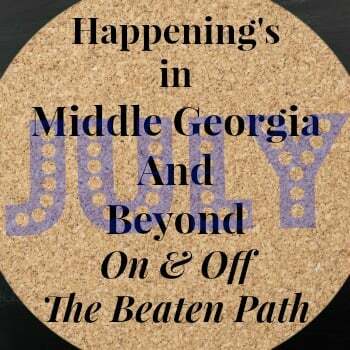 Late July is a busy time in Middle Ga. with the brand new Sandy Beach Waterpark, Macon Film Festival, Bragg Jam and much more! Don’t miss a thing! Subscribe to our weekly newsletter, published every Sunday night. These free kids clinics fill up fast so register early! Included are a free apron, goggles, patch and more. Family Summer Camp dates are June 27-July 26 2015. Events are all free and include; crafts, workshops, BB shooting range, casting challenge and shooting arcade. All events occur at certain times, check your local store for times. 360 Mt. Vernon Rd. Jackson, Ga. A private, non-profit nature center with Wildlife, trails and family fun for FREE! Explore a 19th century style working farm and see goats, pigs, cows, a mule, donkey and lots of chickens. Also featured at the farm is a blacksmith shop, cane syrup mill and cooking areas, country store, chicken coop, tenant house, and a smoke house. GA Hwy 247 & Russell Parkway, Warner Robins, GA 31088. FREE! Kids Bowl Free in Georgia Sites Registration is required. Registered Kids receive 2 Free Bowling Games per day! That’s just awesome! Go HERE for Kids Free Bowling in your state. Georgia State Parks are all Admission Free! Parking is $5 but you can get a FREE PARKING PASS!! Check out Georgia State Park “ParkPass” and Historic Site Pass from your local library. Ask for the Park Pass to exempt the $5 parking fee. Ask for the Historic Sites Family pass which will cover up to four visitors at State historic sites operated by the Georgia Department of Natural Resources. July 17th, 25th & 31. Presidential Flyer Train Ride (6 hrs. 25 mn.) Riding in air-conditioned, 1949 vintage train cars, you will travel from Georgia Veterans State Park, across Lake Blackshear to Plains, Archery and back. Explore President Jimmy Carter’s boyhood farm, go shopping and sample peanut butter treats. Aug. 8th The third installment of the popular Summer on the Square Concert series will take place on Saturday, August 08 at 7:00 PM, featuring the Grains of Sand Band. The Grains of Sand feature two former members of the famed Athens, GA Band of the 60’s the Jesters. Macon’s Bragg Jam Festival is July 25th! 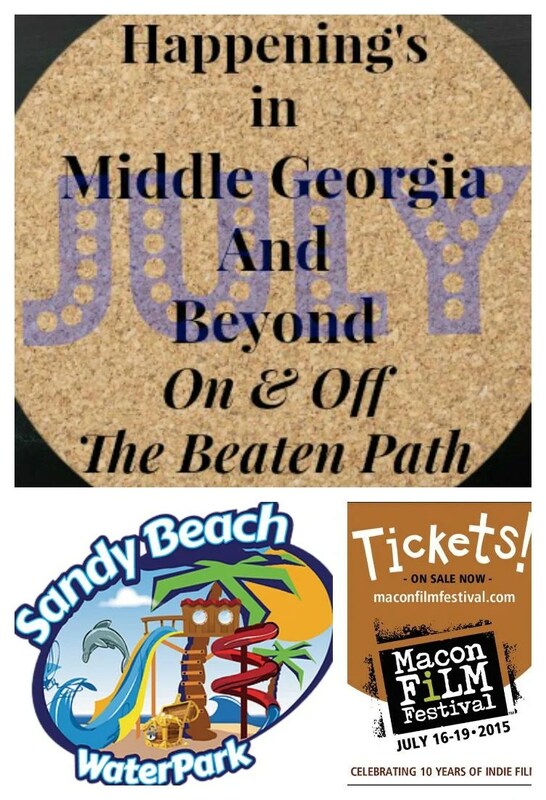 The last Saturday of July is Macon, Georgia’s ultimate summer music festival! Rain or shine, bands spanning all genres take on a variety of stages across the city and put on one unforgettable show after another in a jam-packed, rock, blues, and soul-infused night. 567 Center For Renewal 533 Cherry St.
Macon Arts Alliance Taste of the Arts: Havana will be held August 1 from 7-10 p.m. at the Historic Terminal Station in Downtown Macon. Tickets $40 advance, $50 at the door. Butterfly Bio Blitz Aug. 22. 9:00-4:00 Come help count as many butterflies as possible with your camera. Participants will receive a free t-shirt, backpack, water bottle, and much more. Fun for the whole family. Children can paint a butterfly jewelry box or sun catcher to take home with them. July 18 Reptile Rendezvous Family Day: Slithering snakes, tremendous tortoises, Jason Clark from Southeastern Reptile Rescue, and lots of activities all about reptiles. Sandy Beach Water Park is Open!! Attractions at the Sandy Beach Water Park at Macon’s Lake Tobesofkee include; Paradise Pool, Lazy River, Kiddie Isle (This area is made for wee ones under 48” tall. With zero depth entry, slides, play structures, and interactive splash features made just for kids), Splash Race & Slippery Slope! Go HERE for ticket information. Summer Sunset Music Series Guest include; Swingin’ Medallions (4th), Chris Collins (5th), Secret Sauce (11th), Foghat with Special Guest Neal Lucas (18th), and Kyle Wilson (25th). International City Farmer’s Market Thursday’s 1-6 pm at Perkin’s Park. GIANT S’MORES BUILD A THON! Sat. July 18th at 7pm Help the park set a STATE S’MORE RECORD! Pre-register and pre-pay to participate in the build. Builders must bring assigned s’more components. S’more eaters come to cheer & devour. Meet next to the campground Trading Post. S’more builders $5 per team (up to 4 people) 706-663-4858. Moth Madness Hike. July 17th. 9-10 pm They are the moon’s butterflies. See them up close and learn more about these colorful creatures in this night hike to the falls. Twilight Night Paddle July 18th & 24th and Sat. Aug. 1. Watch wading birds and enjoy the setting sun in this peaceful, ranger-led 3 mile canoe trip to Buck Creek. This program is open to adults and children 8 years or older who are accompanied by an adult. Reservations required. I’ve never been to Georgia, but it actually is on my bucket list for USA travel!